The regulatory framework for the communications sector is laid down by Act No. 127/2005 on Electronic Communications and the change of related laws (Act on Electronic Communications) as amended. The Act on Electronic Communications fully implements the EU regulatory framework into Czech law. to provide conditions for the protection of users and other market actors until a fully competitive environment is achieved. The Ministry of Industry and Trade is the relevant governmental department responsible for the telecoms and media sector. However, the Czech Telecommunication Office (CTO) is the Czech National regulatory authority. There are no foreign ownership restrictions applicable to communication services. for natural and legal persons, integrity. In addition to the general terms and conditions, natural and legal persons who intend to perform communication activity are obliged to notify the CTO thereof in writing in advance by delivering a properly and fully completed ‘Notification of communication activity’ form. This must be done in the Czech language. Natural and legal persons have to send the completed ‘Notification of communication activity’ form to the regional department of the CTO, depending on the address of the place of business of a natural person or the registered office of a legal person. The CTO issues the person who provided notification of communication activity with a certificate to confirm that this person has submitted notification within one week of the date of delivery of notification. It also assigns to the natural person an identification number, if one has not already been assigned. Authorisation to undertake business is established for the notifying person on the date of delivery of complete notification of communication activity, which is deemed as business activity in electronic communications that meets the particulars laid down in the Act on Electronic Communications. Natural and legal persons pay administrative fees into the income account of the regional department of the CTO, depending on the place of residence of the natural person or the registered office of the legal person at which it provides notification of communication activity. All contact data required for the payment of administrative fees is provided to the business undertaking by the locally competent regional departments of the CTO. An administrative fee of 1,000 koruna is collected for the issue of a certificate of notification of communication activity. The CTO generally specifies the permitted use of the allocated spectrum either by general authorisation or by individual licences. General authorisation is a measure of a general nature issued by the CTO that determines the conditions of undertaking communication activities relating to all or certain types of electronic communication networks and services and to operating devices. The CTO is authorised to issue general authorisation for the use of radio frequencies for which no individual licence needs to be awarded. Radio frequencies that cannot be used based on the general authorisation can only be used based on individual authorisation to use radio frequencies, unless the law provides otherwise. An entity holding an authorisation for the use of radio frequencies may transfer the authorisation or lease rights arising from the authorisation to another entity, unless otherwise stated in the decision on granting the authorisation for the use of radio frequencies. wholesale voice call termination in mobile, publicly accessible telephone networks. The Act on Electronic Communications empowers the CTO, subject to the previous approval of the European Commission, to require a vertically integrated company to separate or transfer its activities related to the provision of wholesale access services to a separate business unit (imposing a functional separation obligation). The Act on Electronic Communications also allows the company to undertake a voluntary functional separation. The term ‘structural separation’ is used in the Act on Electronic Communications for a related topic: the undertaking providing public communications networks or publicly available electronic communications services, which possesses special or exclusive rights in respect of the provision of services in other industries in the Czech Republic or in another member state of the EU, shall (i) maintain separate cost and revenue accounting in respect of the activities relating to the provision of those networks or those electronic communications services, or (ii) provide structural separation of the activities associated with the provision of those networks or those electronic communications services. However, structural separation obligation does not apply to an undertaking whose annual turnover in the activities associated with the provision of networks or publicly accessible electronic communications services is lower than €50 million expressed in koruna. Under the Act on Electronic Communications, universal service is a minimum set of services that is available under the same conditions to all users at an affordable price and in the set quality. Universal service is defined at a European level by the Universal Service Directive, which has been transposed in the Czech Republic in the Act on Electronic Communications. controlling party expenses associated with the use of publicly available telephone services, including free notification to the consumer in the event of unusual or excessive use of this service. One part of a universal service, the obligation to provide ‘special prices’ is also imposed, allowing people with special social needs to choose prices or price plans that differ from the price plans provided under normal commercial conditions so that such people have access to and can use partial services and a publicly available telephone service. The universal service between 2006 and 2009 was financed from two sources: the universal service fund and the state budget. The state budget has been the only source of financing since 2010. As regards the number allocation scheme, the CTO administers numbers for electronic communication networks and services using a numbering plan in order to ensure the administration and purposeful use of numbers, sequences and costs, addresses and names (with the exception of internet addresses) (hereinafter referred to as ‘numbers’). The numbers from numbering plans may only be used based on authorisation to use numbers. Based on an application lodged with the CTO, the CTO decides on the awarding of authorisation to use numbers to any business undertaking providing a public communication network or providing a publicly available electronic communication service according to general authorisation or using such network or service in accordance with the terms and conditions ensuring the purposeful use of numbers. 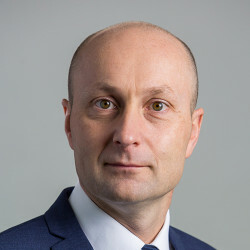 In the case of authorisation to use numbers connected to private communication networks, the CTO is also authorised to award such authorisation to a legal person that is not a business undertaking according to the first sentence of this paragraph. In the case of harmonised European numbers, the CTO decides on the award of authorisation to business undertakings that provide a public communication network or provide a publicly available electronic communication service or to a legal person not undertaking business whose activity corresponds to the purpose for which these numbers are reserved. Concerning the number portability regime, an undertaking providing a public communications network or providing a publicly available electronic communications service is obliged, on request, to let subscribers retain their numbers when changing services providers, both in the case of geographical telephone numbers within the specified area and in the case of non-geographical telephone numbers anywhere in the territory of the state. This obligation does not apply to telephone number portability between fixed and mobile public telephone networks. The Act on Electronic Communications sets out a large number of essential requirements that all the contracts for the provision of a publicly available electronic communications service or connection to a public communications network must contain (eg, detailed information about the prices, information about the dates and methods of billing and payment, information about end user rights, the validity period of the contract and the period for its withdrawal, contractual fines, etc). The Act on Electronic Communications does not explicitly limit the form or the extent of the contractual documentation. It only stipulates that in the relevant agreement, all the statutory requirements must always be provided in a comprehensible, complete and easily accessible manner. Besides the Act on Electronic Communications, generally applicable consumer protection legislation will also apply in the communications sector. This would most importantly include Act No. 89/2012, the Civil Code, as amended, and Act No. 634/1992, on Consumer Protection, as amended. As of 30 April 2016, the provisions of the TSM (Regulation of the European Parliament and of the Council (EU) No. 2015/2120) entered into force, which lays down measures concerning open internet. On 30 August 2016, the Body of European Regulators for Electronic Communications (BEREC) issued ‘BEREC Guidelines on the Implementation by National Regulators of European Net Neutrality Rules’. In relation to the above-mentioned, in the Czech Republic (whether by the CTO or other public administration body) no additional requirements regarding transparency or provision of information have been set to providers of internet access service after the entry into force of the TSM. 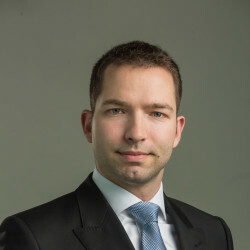 However, on 23 March 2017, the CTO published a document (‘Statement of Czech Telecommunication Office to selected questions on open internet access and to European net neutrality rules’) in which it explains its approach to the application of selected rules, which, according to the BEREC Guidelines, require individual assessment by national regulators. In particular, it concerns specification of data transmission speeds and of significant continuous, regularly recurring deviations (in both fixed and mobile networks). However, this document is not legally binding. There are no specific regulations yet or any enforcement initiatives relating to digital platforms in the Czech Republic. There are no specific regulations regarding obligations applicable to NGA networks. The CTO expects that the regulatory framework will be created on the EU level and then implemented in coordination with various international and national partners. The CTO will aim to ensure the accessibility of the radio spectrum and the unification and optimisation of the conditions of use. Between 2013 and 2016, the CTO conducted a national broadband mapping exercise to map the existence of the NGA infrastructure. The Act on Electronic Communications details a set of specific data protection rules applicable to the communications sector, while the rights and obligations relating to personal data protection not regulated in this Act are subject to the general regime under Act No. 101/2000, on the Protection of Personal Data, and from 25 May 2018 the Regulation (EU) 2016/679 of the European Parliament, the General Data Protection Regulation comes into force. The Act on Electronic Communications governs, inter alia, the company’s obligation to secure the protection of personal, traffic and location data and the confidentiality of communications or its information duties. However, the CTO does not have any regulatory competence in this area. The authority responsible for enforcement of obligations in personal data protection in the Czech Republic is the Office for Personal Data Protection. The area of cybersecurity is governed by Act No. 181/2014, on Cyber Security and Change of Related Acts, which regulates the rights and obligations of natural and legal persons and competence and power of public authorities in the field of cybersecurity. The Act on Electronic Communications then does not provide for a specific cybersecurity regime applicable to the communications sectors. As for network security, the Act on Electronic Communications sets out the rules governing security and integrity of the electronic communications networks and services. In this part the Act imposes an obligation on the undertaking providing the public communications network to ensure the integrity and security of its network. In this regard, the undertaking is obliged to implement network plans issued by the CTO. Apart from the General Data Protection Regulation, there is no specific legislation or regulatory initiative concerning big data in the Czech Republic. Nevertheless, the Office for Personal Data Protection is aware of the fact that it will have to devote more attention to this regulatory area owing to its high-risk potential for misuse. There are no such laws or regulations in the Czech Republic. The freedom of customers to switch between different telephone network services providers has been bolstered. An amendment to the Act on Electronic Communications, adopted in 2017, changed the rules concerning the contractual notice period, automatic renewal of a subscription, termination of a contract and number portability regime. The notice period can last 30 days at most. A customer’s consent is now required for a renewal of a subscription. Customers have also newly been endowed with the right to terminate a contract upon a change of terms and conditions of the service providers. Finally, the services providers are obliged to port numbers within 10 days after a delivery of a request. These changes to the regulatory framework should contribute to a greater competition in the telecommunications market. The key law regarding the media sector in the Czech Republic is Act No. 231/2001, as amended, on the Operation of Radio and Television Broadcasting and Act No. 132/2010 as amended, on On-Demand Audiovisual Media Service. The Operation of Radio and Television Broadcasting Act governs the state administration in the field of radio and television broadcasting as defined in its section 2, subsection 1, paragraph a, as communication of programmes and another parts of broadcasting, including services directly linked to the programme, to the public through electronic communications networks in unencoded or encoded form for simultaneous viewing of programmes and other parts of broadcasting. The On-Demand Audiovisual Media Service Act governs provision of audiovisual media services as defined in section 2, subsection 1, paragraph a, as an information society service that is under the editorial responsibility of a media service provider and the principal purpose of which is the provision of programmes, in order to inform, entertain or educate, and that allows viewing of the programmes in the moment chosen by the user and on his or her individual demand based on the catalogue of programmes. Act No. 40/1995 as amended, on Regulation of Advertisement. The central state administration body for radio and television broadcasting is the Council for Radio and Television Broadcasting (the Council). The Council supervises and develops the plurality of the programme offers and information in the broadcasting area, grants the licences for broadcasting operation, monitors content of broadcasting, etc. The CTO supervises the use of radio spectrum. The CTO determines the technical parameters and conditions for the use of the radio spectrum for radio communication services (ie, it is in charge of frequency planning). Czech legislation does not contain any restrictions on ownership of media services by a foreign person. Recently, an amendment to Act No. 159/2006 on Conflict of Interests has been passed. The main change concerns a restriction on ownership of the media. As of recently, a public office holder is prohibited from being a provider of television or radio broadcasting, being a publisher of periodicals, or being a member or a controlling person of a legal person who is a provider of television or radio broadcasting or publisher of periodicals. A provider of nationwide analogue radio broadcasting shall not hold any ownership interest in another nationwide analogue radio broadcasting provider (the same rule applies to providers of analogue television broadcasting). A provider of nationwide analogue television broadcasting shall not merge with a provider of nationwide analogue television broadcasting in some cases (the same rule applies to providers of radio broadcasting). A provider of nationwide digital television broadcasting shall not hold any ownership interest in another provider of nationwide television broadcasting. A provider of nationwide digital radio broadcasting shall not hold any ownership interest in another provider of nationwide radio broadcasting. A provider of nationwide television broadcasting shall not merge with a provider of nationwide digital television broadcasting in some cases. A provider of nationwide radio broadcasting shall not merge with a provider of nationwide digital radio broadcasting in some cases. A provider of nationwide digital radio broadcasting shall not merge with a provider of nationwide digital radio broadcasting (the same rule applies to providers of digital radio broadcasting). It should also be noted that the Council evaluates transparency of ownership of applicants in the licensing procedure. The licensing requirements for broadcasting are set down in the Operation of Radio and Television Broadcasting Act. The licensing procedure is initiated upon either the applicant’s or the Council’s incentive. The Council shall request a statement from the CTO prior to initiation of the licensing procedure. The requirements for participation in a licensing procedure, provided the applicant is a legal entity, are as follows: the applicant shall fulfil the conditions for the conduct of business and, if the applicant is a joint-stock company, the shares shall be issued in the form of registered shares. Provided the applicant is a natural person, the applicant shall be endowed with full legal capacity and fulfil the conditions for conduction of business. A business plan and a version of licensing conditions shall be attached to the application by the applicant. The fees payable for the receipt of an application for granting authorisation for operation of radio or television broadcasting are set in the Annex to Act No. 634/2004, on Administrative Fees. The fee amounts to 90,000 koruna regarding television broadcasting and 25,000 koruna regarding radio broadcasting. The Council possesses a discretion when deciding to grant authorisation. Besides the requirements set out above, the Council also evaluates economic, organisational and technical preparedness, transparency of the ownership, contribution of programme schedule, representation of European production, and preparedness to provide subtitles to a particular percentage of broadcasted programmes for persons with hearing impairment. Regarding digital broadcasting, the Council also considers whether the applicant contributes to the development of national, ethnic and other minorities in the Czech Republic. As regards timing, the Council will firstly request a statement from the CTO on technical matters connected with the licence, which shall be issued within 15 days after accepting the application. The Council shall then initiate the licensing procedure within 30 days of receiving of the statement from the CTO. In the announcement of the licensing procedure, the Council shall determine the period for filing of the application for granting the authorisation. Depending on the specific kind of licence requested, the licensing proceedings shall then take 60 or 90 days. A provider of on-demand audiovisual services is obliged to reserve at least 10 per cent out of the total number of catalogued programmes for European works. Alternatively, the provider may fulfil the obligation by dedicating at least 1 per cent of its earnings to the creation of European works or acquiring rights for using European works. A provider of broadcasting possesses a right to broadcast programmes freely and independently. The broadcaster shall provide objective and balanced information for independent opinion-making. A broadcaster by law (Czech Television and Czech Radio) is obliged to set a programme in order to offer a balanced range of programmes for the population with regard to their age, gender, skin colour, beliefs and national, ethnic or social origin. Such rule does not apply for other broadcasters. The broadcaster is, if possible, obliged to reserve at least 10 per cent out of the total number of broadcasting time for European works created by independent authors. Alternatively, the broadcaster may fulfil the obligation by dedicating at least 10 per cent of its programme budget to the creation of European works created by independent authors or acquiring rights for using European works created by independent authors. A provider of both radio and television broadcasting may integrate programmes with regionally different content. However, a provider of nationwide radio and television broadcasting with a licence is obliged to broadcast nationwide without regionally different content for at least 85 per cent of a week’s broadcasting time. Advertising is in general regulated by the Act on Regulation of Advertising. It regulates unfair commercial practices, comparative advertising, advertising of tobacco products, advertising of medical products for human use and veterinary medicinal products, advertising on infant formula and follow-on formula, and general requirements of advertising and transmission include sanctions for breach of the obligations as stated in the Act. The Act also contains a regulation of advertising on alcoholic beverages, on plant protection products, on firearms and ammunition and advertising on funeral services. The Act specifically regulates advertising diffused by media, which in particular includes the following means of communication: periodicals and non-periodical publications, radio and television broadcasting, on-demand audiovisual media services, audiovisual production, computer sites, carriers of audiovisual works, brochures and posters. Generally, advertising against legal regulations, advertising in the form of unfair commercial practices, anonymous advertising regarding elections into public bodies in specific time periods is prohibited. Moreover, comparative advertising is allowed only upon fulfilment of conditions set down in the Act. In all cases, advertising shall not be contrary to the principles of morality, shall not support behaviour detrimental to health or endangering the safety of persons, property or environment. Advertising of tobacco products is not allowed through broadcast media unless the Act states otherwise. The same applies to firearms and ammunition. Advertising of alcoholic beverages is legally restricted with the prohibition of various elements in the advertisement, such as advertisement directed at minors under 18 years or promoting excessive drinking. The advertiser is obliged to maintain a copy of every advertisement at least for a period of five years after its last transmission. Broadcasters are obliged to ensure placement of advertisements between programmes. The exceptions to the rule are programmes with compact and separable parts, sport or social occasions’ broadcasts with pauses. The licence holder is obliged to ensure that an advertisement is incorporated into the film only if it lasts more than 45 minutes with the advertisement included, not more than once in every 45-minute time period; another interruption is allowed only if the film lasts, with the advertisement included, at least about 20 minutes more than two or more 45-minute time periods. As regards other audiovisual works, advertisements may be included only if the programme with the advertisement included lasts at least 30 minutes and not more than once in every 30-minute time period. Interruption of news, religious programmes or programmes for children is not allowed in any case. Online advertising is also regulated by the Act on Regulation of Advertising as the subject matter of the law is also advertising diffused by computer sites. Additionally, Act No. 480/2004, on Information Society Services regulates unsolicited advertising. Act No. 46/2000, the Press Act, establishes an obligation on a publisher of periodicals to publish public service announcements. An entrepreneur providing a publicly accessible service of electronic communications is obliged to provide such service without any interruptions every day (with some exceptions stipulated by law). Provided there is a public interest, the CTO holds a discretion to assign an obligation to broadcast certain radio or television programmes to an entrepreneur who provides a radio and television broadcasting service that is used by end users as the main means of broadcast reception. The service is provided upon a written contract that shall include a proposal of prices. New media content is regulated in the same way as traditional broadcast media (ie, by the Act on On-Demand Audiovisual Media Services) provided it qualifies as an audiovisual media service. There are no regulations, which would be applicable specifically to new media content. The Act establishes an independent list of obligations for providers of on-demand audiovisual media services and establishes a requirement of minimum content of European works. The beginning of digital switchover dates back to 2008 when the first of the ATV transmitters was switched off. The switchover from analogue to digital broadcasting lasted over four years, when in February 2012 operation of the very last high-power ATV transmitter was discontinued. The CTO issued a general measure that set down a technical plan for the digital switchover. The measure included a plan of reallocation of radio frequencies. Generally, a plan of relocation of radio frequencies (national radio frequencies table) is set in the regulation published by the Ministry of Industry and Trade. The CTO then determines the parameters and conditions for the use of the radio spectrum under the radio spectrum utilisation plan. An entrepreneur securing a public communication network, through which digital television services are transmitted, is obliged to operate the network to allow the diffusion of services and programmes of widescreen (16:9) format. An entrepreneur who receives and broadcasts programmes or services of widescreen format is obliged to retain the format. The CTO issues parts of the radio spectrum utilisation plan as measures of a general nature. That plan includes a general part of the radio spectrum utilisation plan and also parts of the radio utilisation plan focused on dedicated frequency bands determined by the lower and upper frequency limits. issuing, changing and cancelling decisions about registration for the operation of rebroadcasting. In terms of the steps the authorities may require companies to take as a result of a media plurality assessment, the Council advises the broadcasting operators and operators of rebroadcasting on infringement of their duties stipulated by the Act on Radio and Television Broadcasting or conditions of granted licence, and grants them a term by which to remedy any potential breaches of the law. As regards the media ownership and related issues, the current legislation regulating the ownership relations of radio and television broadcasters is laid down by the Act on Radio and Television Broadcasting and by the Act on the Protection of Competition. The Act on Radio and Television Broadcasting sets out the rules for ensuring the plurality of information in radio and television broadcasting. It sets out the limits for the cross-ownership of radio and television stations for both analogue and digital broadcasting and under this Act a single legal or natural person may not simultaneously be the owner of more than two licences for the operation of a nationwide digital broadcasting service entitled to broadcast full-format programmes. The Act on the Protection of Competition further deals with agreements between competitors, abuses of dominant market positions and mergers of competitors. Under this Act the merger of competitors is allowed, but in certain circumstances it requires the approval of the Office for the Protection of Competition. Regarding recent legislative proposed amendments to the Act on Electronic Communications, changes to the technical standard of DTT broadcasting from DVB-T to DVB-T2 are contemplated. The proposed amendments involve free-of-charge prolongation of the validity of the allocated radio frequencies until 2030 in favour of the current DTT broadcast operators; the reimbursements of costs for the simultaneous operation of existing networks and transition networks, and reimbursement of costs for the changeover of radio frequencies designated for operating DTT broadcasting. There are different and separate regulatory bodies for telecommunications, broadcasting and antitrust matters. The CTO is the national telecommunications regulatory authority. Within its competences fall, inter alia, issuing licences to carry out electronic communications activities, performing analyses of relevant markets in the electronic communications area, determining undertakings with significant market power and imposing special obligations on them, cost regulation in the area of electronic communications including ex-ante regulation, and governance of radio spectrum. The Council for Radio and Television Broadcasting is the national broadcasting authority. The Council is the central state administration body carrying out administration in the area of radio and television broadcasting, supervises adherence to and development of plurality of programme offers and information in the area of broadcasting and in general supervises observance of legal regulations in the area of broadcasting. The Office for the Protection of Competition is the national antitrust authority. The Office is the central authority of state administration responsible for creating conditions that favour and protect competition, supervision over public procurement and consultation and monitoring in relation to the provision of state aid. The Office for Personal Data Protection has sole competence with respect to matters connected with personal data protection and misuse of personal data. Competences of these regulatory bodies are set out by laws so that they do not overlap. Any competence disputes (whether positive or negative) will be finally decided by the Supreme Administrative Court of the Czech Republic. First instance decisions of the regulators may generally be challenged based on any grounds by filing an appeal to the president or chairman of the relevant regulator. Such an appeal generally suspends the legal effect of the original first instance decision. Decisions of the regulators may then be challenged on points of law and procedure before the competent regional administrative court and subsequently also by a cassation complaint filed with the Supreme Administrative Court. Generally, motions against decisions of the regulators do not suspend the effect of such decisions, unless such effect is granted by the administrative court deciding on the matter. A new Act on damages in competition law came into force on 1 September 2017 transposing the EU Directive 2014/104/EU. This law should facilitate damage claims in the cases of infringements of competition laws such as cartels and abuse of dominant position on the market. Among others, the Act on damages in competition law provides for a specific court discovery regime, which should enable the damaged party to seek an injunction compelling the perpetrator to produce relevant documents. On 14 November 2017, the Office for the Protection of Competition published a communique on its investigations in the sector of mobile voice and data services. The Office concluded that there is a significant difference between the corporate and retail market. In both markets, the situation is oligopolistic but none of the market participants can abuse its position. Moreover, there is no evidence alluding to the existence of a collusion among market participants. Thus, the Office for the Protection of Competition concluded that the law has not been infringed. Weinhold Legal was established in 1996 and we currently boast a team of more than 40 Czech, Slovak and foreign lawyers, bringing together the international know-how and a detailed knowledge of the local legal environment. View more information about Weinhold Legal, v.o.s.